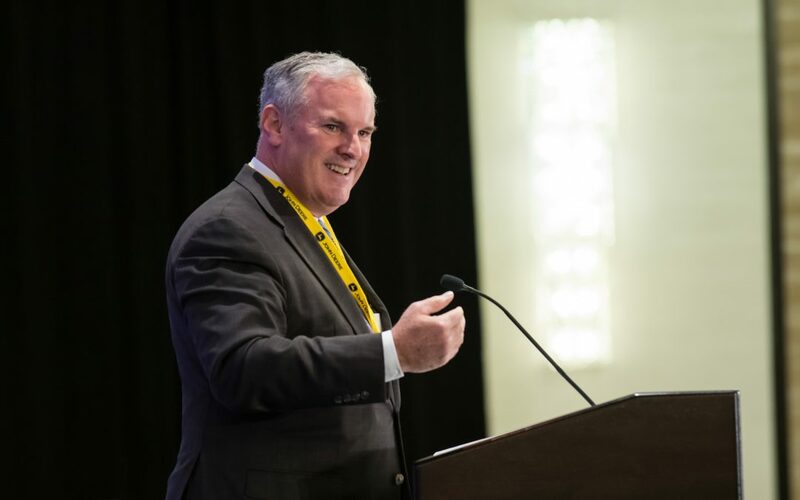 Rebuilding America’s infrastructure should be “a national, societal imperative,” resiliency expert Dr. Stephen Flynn Oct. 1 told attendees at ARTBA’s National Convention in New York City. Flynn, founding director of the Global Resilience Institute at Northeastern University, noted that while many people worry that there are more disasters, which are more destructive, the larger consideration is how “hyper-connected” the world has become. Communities that build more resilient infrastructure will have a competitive advantage over others, Flynn said.